2 friends that tour have played your festival before and recommended it. I had another show I was touring and my wife told me it was time to write a new show. Mom, I have a lot of strangers live in my house. This is what it is like. “Crush”, I have a roommate. Well, a lot of roommates actually. The creators of AirBnb since that is what the show is about. Walking While Black in Moscow – Les is a good friend of mine. Actually just at his wedding in LA. The Sibyl of Mars another good friend from touring. Breakneck Caesar. 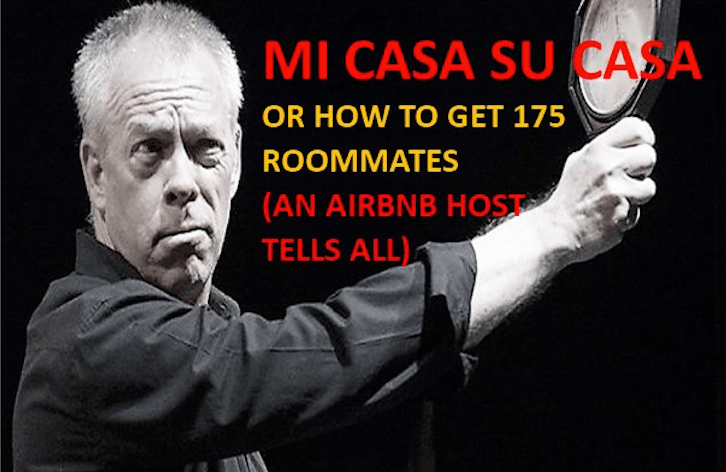 SEE MI CASA SU CASA AT PORTFRINGE 2018!